Take family camping to a whole new level with the spacious and affordable KZ Sportsmen SE travel trailer! 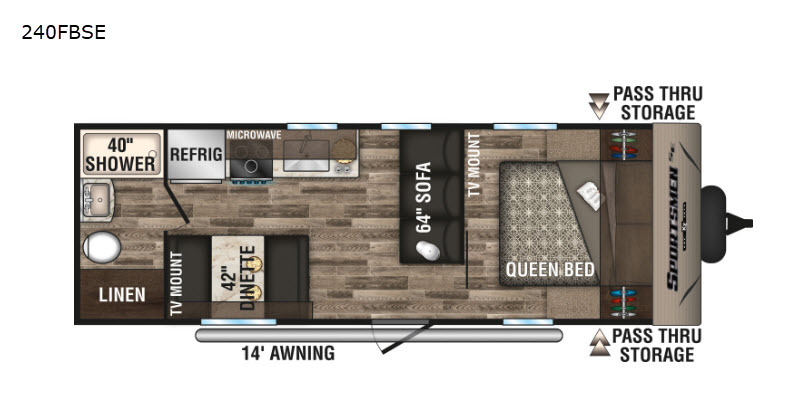 With its outdoor electric awning with LED lights and its exterior speakers, you will have an exceptional place to party with your family and friends after dark, and the magnetic baggage door catches on the exterior pass-through storage compartments make it too easy to grab additional lawn chairs for extra party guests. 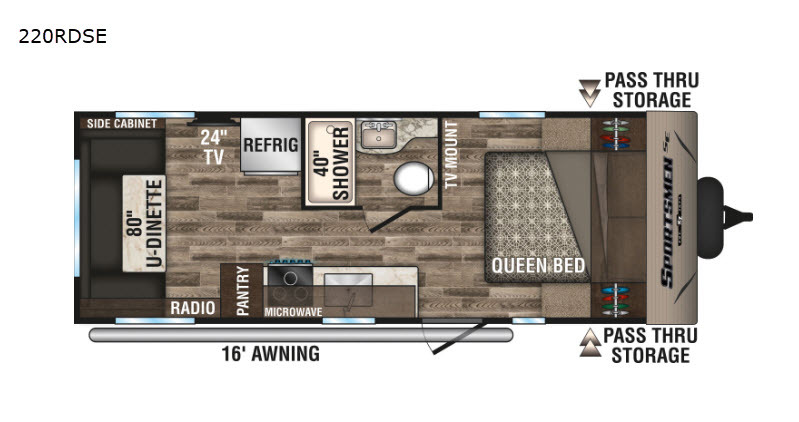 The interior of the Sportsmen SE will appeal to everyone's tastes with its beautifully styled residential-grade linoleum flooring, seamless countertops, and stainless steel kitchen sink. On top of all of that, the Sportsmen SE comes with a 13,500 BTU air conditioner to help you keep your cool as you vacation with the family in sunny Florida. Your favorite camping spot awaits you and your new Sportsmen SE travel trailer by KZ RV! Please see us for a list of all features and available options.